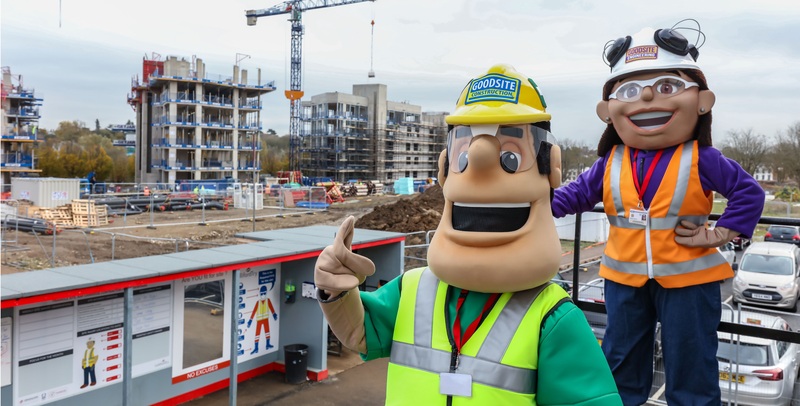 Ivor and Honor regularly attend school assemblies to inform young people about the dangers of construction sites, but also to explain why the construction industry is a great place to work. It is particularly useful for Ivor and Honor to attend a school located near to a live construction site, so that the children are aware of the everyday hazards they may come across. Pupils find this enjoyable and informative. 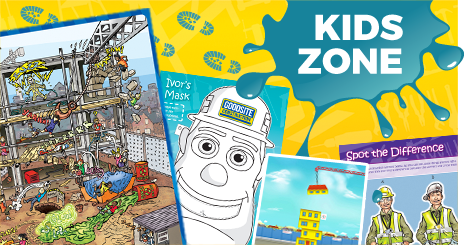 Ivor and Honor Goodsite are often used to encourage school children to draw posters of construction sites and their dangers, which may then be displayed on site hoardings close to the school they attend. This allows the children to be creative whilst thinking about the message of staying away from construction sites. 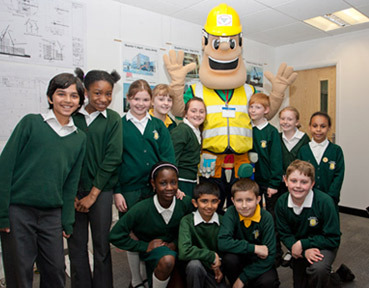 Ivor and Honor often visit construction sites with children from the local community. Whilst on site, they have been able to take part in various construction-related activities, such as dressing up in PPE, having a go at using safety modified machinery, and even helping in the laying of bricks. Getting involved in on-site activities like these is a practical way to reinforce the message about the importance of being safe on a construction site.